This training is for people who want to become a disciple of the Lord Jesus. This training teaches you what you need to follow the Lord Jesus and how to receive your own ministry. Your ministry with the Lord Jesus. You can compare this training to a Bible school. 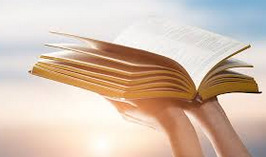 We will study the Bible intensely and because of that you will understand better how you can use the Word of God on your life and in your life. You want to do more for God, but you don’t know how? Do you want to know through Jesus what Gods plan is for your life? Please sign and come to the Bible training! So that the fire of God, which is in you, can burn with dignity.